Rootless Launcher on the Oneplus 6. In general, functionality is mostly the same as the Pixel Launcher, with some additions. There are only a couple real omissions. The Feed doesn't pull precisely the same look you see on the Pixel 2, Rootless Launcher's Feed looks the same as it does on other devices, with the elongated pill of the Google search bar at the top instead of the logo. 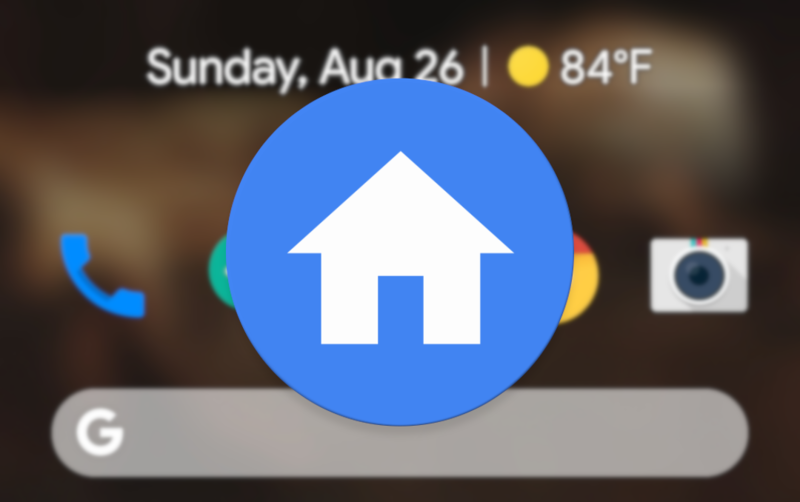 It's also missing the app slices shortcuts if you're on Android P.
Apart from that, you get the same "At A Glance" widget functionality, the same home screen layout with the Google search widget at the bottom, and the same upward swipe to access an identical app tray — which even has the Pixel's "app suggestions" at the top. As for additions, you can manually set between a handful of themes (including the Pixel Launcher's built-in light and dark themes) and even apply an icon pack. The same options for changing icon shape and enabling/disabling notification dots or home screen rotation are also present. To put it simply, you get the stock Pixel Launcher experience plus a few extra features. Rootless Launcher offers to download the companion app required for Feed on first launch. It's not as powerful or as flexible in configuration as things like Nova Launcher or Action Launcher, but if you want that pure Google look in a reasonably lightweight package (~81MB RAM used), it might be worth giving the open source Rootless Launcher a try. It's free, and easy now that it's available in the Play Store. You can even download both Rootless Launcher and its companion app for Feed functionality over on APK Mirror if you're used to manually updating things now. Just one word of warning to those that want to transition to the Play Store for app updates: you'll lose your home screen configuration when you switch to the Play Store release.